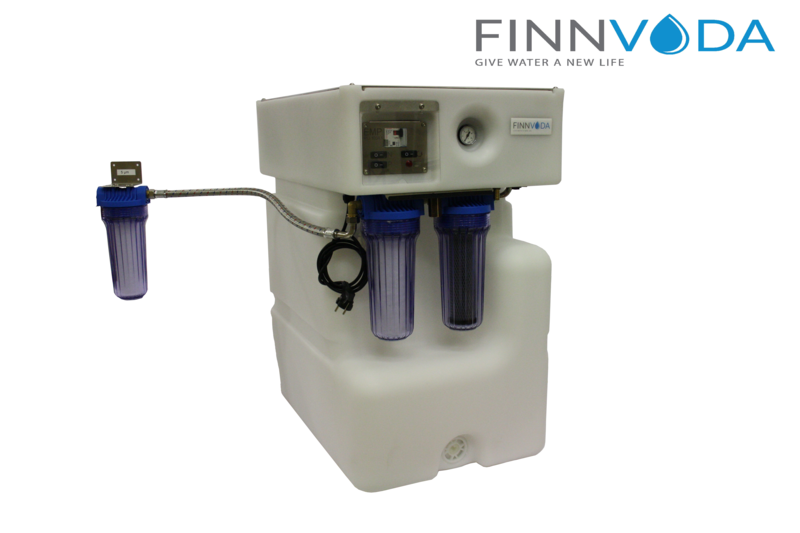 EMPRO-100 purifies almost any water from a natural water source in Finland to excellent drinking and household water with reverse osmosis without chemicals. Integrated supply pump delivers clean water to leisure house water network. 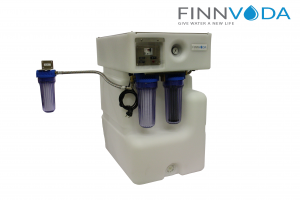 The device can take raw water from the ocean, lake, well or other source. Capacity of the device is designed for normal family in leisure house or cottage use. The device provides clean water to example sauna, shower, kitchen, dishwasher and washing machine. Storage in the cold isn’t problem if antifreeze is driven inside device before freezing temperatures according to the instructions manual. Usage with solar power is possible because the device is energy efficient. The device is developed and manufactured in Finland.